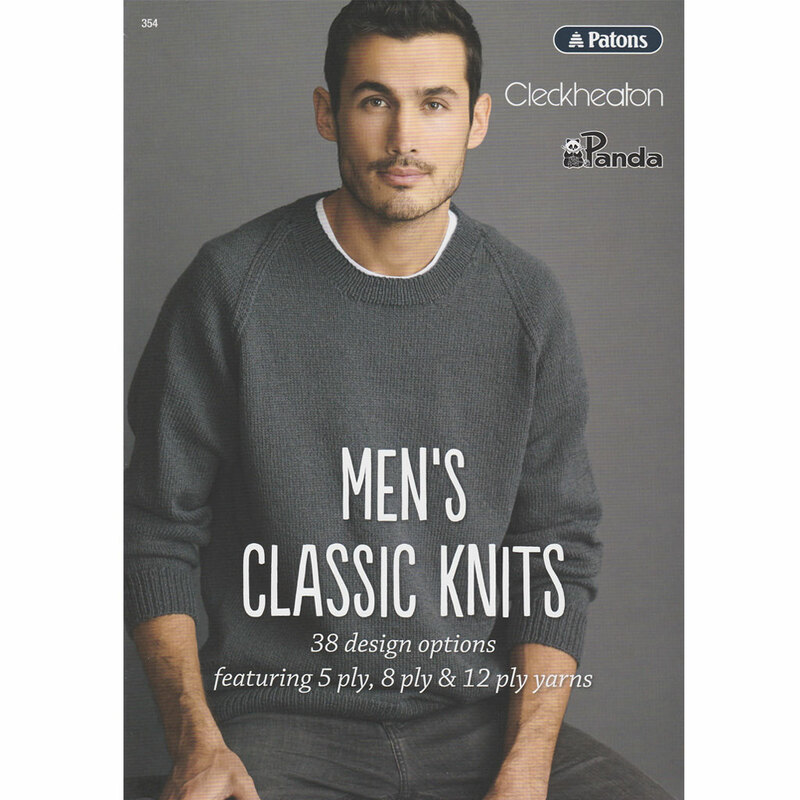 38 design options for Men featuring 5ply, 8ply and 12ply yarns with options for using Patons, Cleckheaton and Panda yarns. The pattern book contains 6 basic patterns: Cardigan with Set-In Sleeves, Cardigan with Raglan Sleeves, Jumper with Raglan Sleeves, Jumper with Set-In Sleeves, Buttoned Vest and Vest. Most patterns then contain the option for knitting in either 5, 8 or 12ply yarn, with further style options for v-neck, round neck or polo collar for most patterns. Sizes range from 95cm chest (S) to 145cm chest (XXXL). As an indication: Cardigan with Raglan Sleeves S-XXXL requires 12-19 balls 5ply yarn, 16-25 balls 8ply or 15-24 balls 12ply yarn. Buttoned Vest S-XXXL requires 8-13 balls 5ply, 11-18 balls 8ply yarn (no 12ply option). This is the definitive pattern book for men, with all your basic men's patterns in one handy collection! This pattern book was added to our range on 12th July, 2015.